And the song made me think. In 2017, we are absolutely bombarded by choices and things evolve faster than ever, so how can you actually get what you need? For example, recently I had to guide someone searching for that perfect DevOps tool. In such a tool search, if you just Google ‘DevOps Tools’, an endless list of tools will sit and stare at you. How can you choose the right DevOps tool for your organization? If you’ve ever wondered if you need to adopt DevOps or even wondered what the hell it is, we have the answer for you. It is a practice where operations and development professionals or engineers participate in the entire service lifecycle (which means starting from design to development and till the production support stage). It is a recipe of success through cultural shift. If you are ready for DevOps adoption, it implies that you are ready to change fast, develop fast, test fast, fail fast, recover fast, learn fast and also prepared for product launch equally fast. Ready for DevOps? Speak to one of our experts for an insight in the area. Organizations which fear change are skeptical to adopt new methodologies like DevOps. The methodology is especially useful for a company that is offering a software platform which is used by other companies. Through DevOps, one can easily resolve and mitigate the technical hiccups in the software within a short time. Nagios, Monit, ELK (Elasticsearch, Logstash, Kibana), Confluence, JIRA, Consul.io, Docker, Jenkins, etc. are just some of the most popular DevOps tools available in the market today. But how do you decide which DevOps tool will be the most suitable for your requirements? Most of the tools that are available help to automate the process of software delivery. Amongst the available options, you can select the right one depending on your requirements. Choosing the right DevOps tool also depends on whether the tool can help you with all the phases which are – plan, build, continuous integration, deploy, operate, and continuous feedback. With a tool that you can help you ‘Plan’, you can learn about user requirements very quickly. You should look for a tool that provides sprint planning features. Sprint planning is a concept of ‘Agile Methodology’ wherein the product owner facilitates a meeting with the entire team and discusses the acceptance criteria. The tool should have a feature that helps team members to comment and share ideas, goals, strategies, assess and discuss requirements and contribute to roadmaps. DevOps tools that allow coding in a virtual environment are likely to yield better results as there can be multiple variations that can be tried. Developers can create modular applications as these are more reliable and easy to maintain. Tools that allow collaborative coding are also becoming popular. CI or Continuous Integration is a process wherein the code is submitted in a shared repository several times a day and tested each time. It is a reliable way to detect bugs early on and fix them before the cost of fixing them gets too high. DevOps tools that allow multi-branch environment are preferable. Some of these tools are Bamboo and HipChat. During deployment, one of the biggest challenges is to get all the information related to change, testing and deployment at one place. With a tool that can’t provide a provision to store everything in one place, doing status reporting at the end of project becomes a huge challenge. Tools that provide dashboard that can be integrated into your code repository and gives a full visibility on deployment details like pull requests, deployment warnings, branches, etc. There is a need to automate server monitoring and application performance monitoring. Tools like BigPanda, HipChat, Nagios, Splunk, etc. are also able to integrate group chat and get it quickly to the team so that there are no communication gaps and issues can be fixed faster. Tools like JIRA are able to keep a track of incidents, changes and fix problems faster. The key is to be attentive to client’s feedback. There are different ways to capture client feedback, some of which are client surveys like NPS, bug reports, tweets, etc. Tools that are able to integrate chat with the survey platform are an excellent choice. There should be an option to integrate real-time feedback that comes through social media channels like Facebook and Twitter. Choosing the right DevOps tools largely depends on which area does your organization needs maximum help. 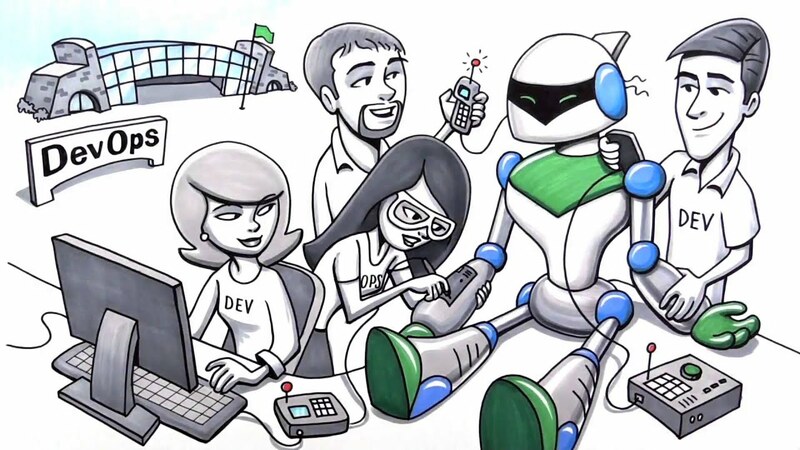 The main objective of any DevOps tool, which you select, is to make the development cycle faster and improve cross-functional and internal collaboration and communication. To learn more about DevOps tools, you can speak to one of our experts and get all your questions answered. A must read article, thanks for sharing! My team would learn a lot just by reading this. If you are looking for DevOps system solution, you can give this a try.